This is Iris (Juno) 'Sinpers'. 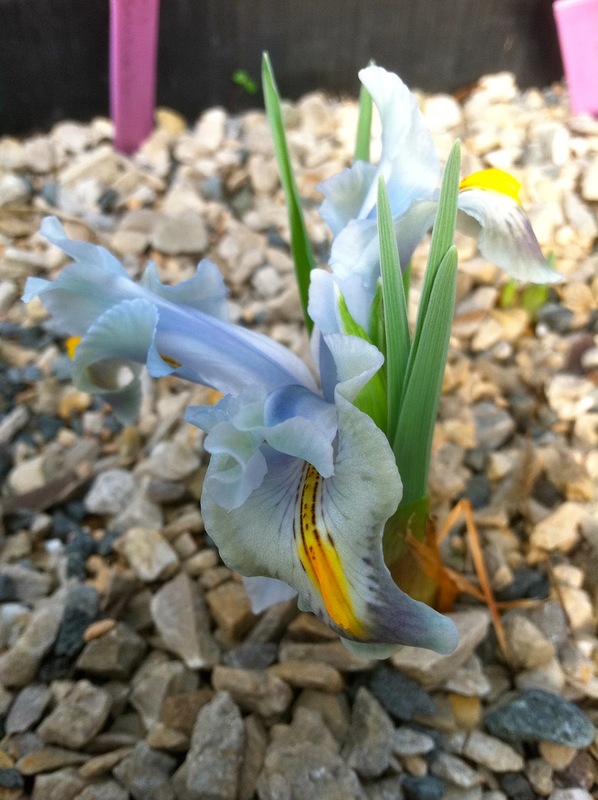 It was originally reported to be a hybrid between Iris sindjarensis and Iris persica, but is now considered Iris aucheri x I. persica. This cross was made by Thomas M. Hoog of the famous Van Tubergen nursery and this clone has been circulating through the hands of discerning bulb collectors for decades. I have had this plant a for three years; it flowered the first year, but not the second, and is now flowering again in its third season. Juno (Iris subgenus Scorpiris) irises can be tricky to grow. They need ample water and fertilization while growing, but almost complete dryness during the summer dormant period. I grow mine in a very large pot (10 gallon or larger) with a medium composed of sand, limestone gravel, Turface, and pine-bark based woody plant container medium. I fertilize early in the season with a 3-month slow release fertilizer and the occasional dose of 100ppm N liquid feed. More than anything I think a deep root run and only occasional repotting and disturbance is the key to success. The same applies to Oncocyclus irises. I didn't mean to do that much writing. But I think everyone should grow this plant, or at least get the chance to see it. Your welcome.